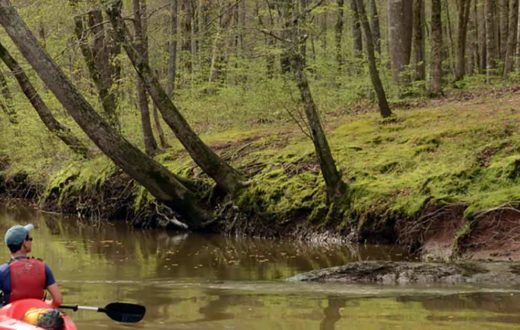 Since 2013, American Rivers has convened the Upper Flint River Working Group, a voluntary collaborative of diverse partners who share a vision to maintain a river system healthy enough to support the social, ecological, recreational and economic benefits the upper Flint River system provides. Dr. Mack Dallas was born in Upson County, Georgia in 1933, in a community where the landscape and culture are dominated by the upper Flint River. 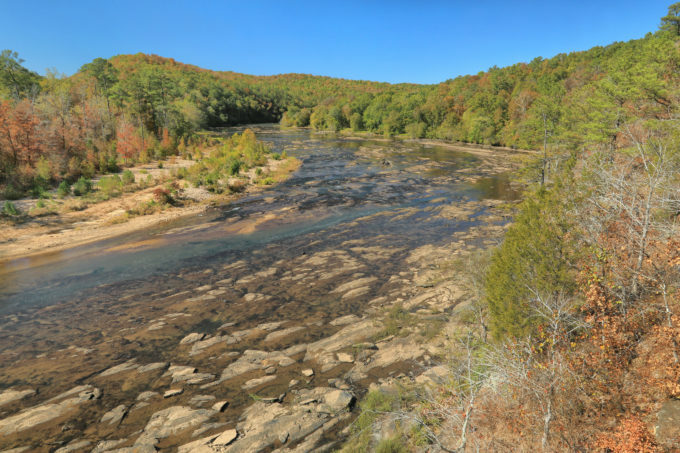 People in his hometown of Thomaston went to the river to get cool in the summer, to hang out on the weekend, to fish the river’s big shoals for hard-fighting shoal bass, to float past Sprewell Bluff… to be out in nature was easy: the river has always been the place. Back in 2012, when I’d just started working on conservation issues on the Flint, Dr. Dallas told me why his experiences with the river and his community led him to join Flint Riverkeeper’s founding board in 2008: he had witnessed the river, the community’s lifeblood for as long as he could remember, drying up before his eyes. “You could walk across it in your Sunday shoes without them getting wet,” he told me. He was referring to three drought events starting in 2000, in which the great river Dr. Dallas and his neighbors knew had turned to a trickle. 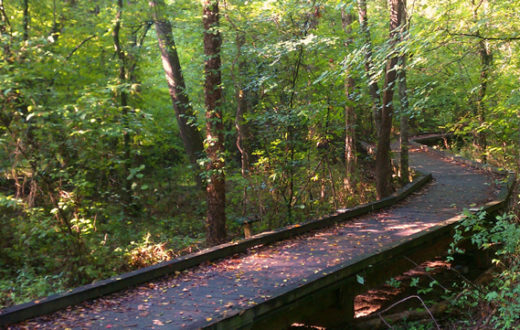 Each dry spell resulted in flows in the upper Flint running 30 to 50 percent lower than anything Dr. Dallas would have witnessed in the 20th century—even during the driest times. There have been four droughts in the 21st century here, with a nasty one in 2016 that thankfully was short-lived. Dr. Dallas has since passed away, but my conversation with him early in my work on how American Rivers could address low flows on the upper Flint has stuck with me. 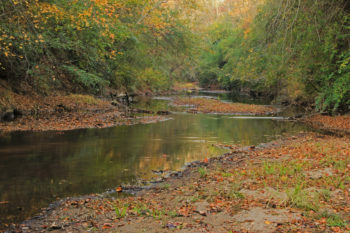 The Flint River’s headwaters spring up just north of Atlanta’s international airport and flow to the Fall Line of central Georgia between Macon and Columbus. Arguably more than on any river in the Southeast—or even the eastern United States—the 21st century has found the upper Flint suffering dramatic and relatively sudden strains of water scarcity. 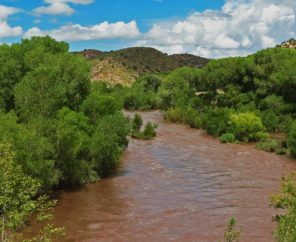 Because of this, American Rivers has identified it as a good place to dig deeper into a collaborative approach to addressing water supply issues. 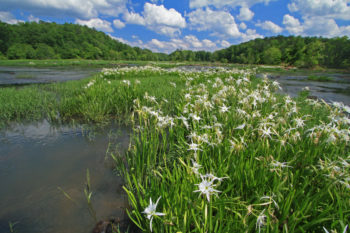 In 2013, American Rivers convened a collaborative forum called the Upper Flint River Working Group, which brought together partners in the basin to envision a river system healthy enough to maintain the various social, ecological, recreational and economic benefits the Flint River system provides: water supply, recreation, fisheries, property values and a healthy river ecosystem, to name a few. 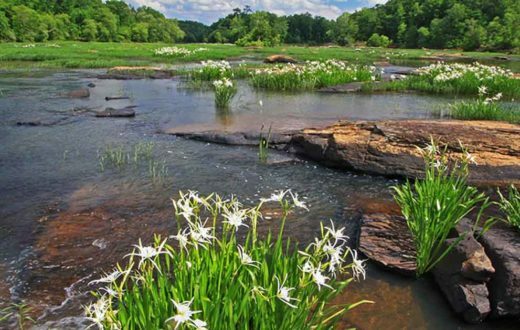 The working group is a voluntary collaborative made up of the staff leadership of all the large water utilities in the upper basin, local conservationists, non-profit conservation organizations, and sustainability staff of Atlanta’s international airport. 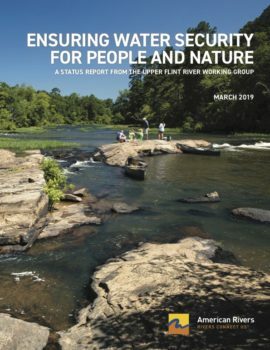 This spring, after five and a half years of working together, we’ve published Ensuring Water Security for People and Nature, a report outlining the Working Group’s progress and how we’ve made inroads into communicating across agencies and interest groups in order to address water security and drought resilience in the basin, both for the ecology of the river and the communities that depend on the river for water supply, fisheries, recreation and more. The report looks back at the five-year history of the group itself, at the dialogue and collaboration that have led to specific achievements and successes. It captures the group’s consensus-based for managing the river system in the future. And, it details the future plans of the working group: to continue improving management actions for water availability and to collaborate with more river stakeholders and with scientists researching the upper Flint, who can assist in understanding water needs in the basin. 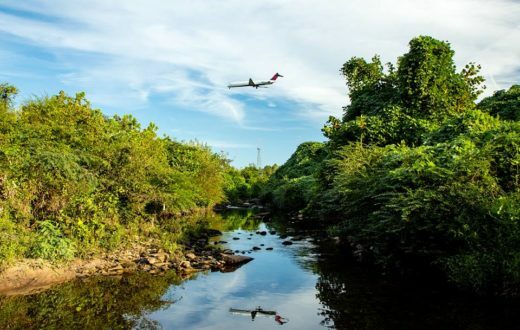 Ultimately, lasting solutions to the regional effects of global climate change, urbanization and the myriad other threats facing our nation’s river systems must be tackled at the local level. 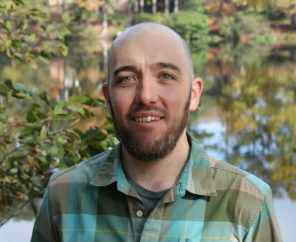 Water managers, scientists, activists and people like Dr. Dallas who understand the river’s history and local significance, must identify and respond to the pressures posed to the river, for the benefit of people and ecology. I hope our ways of addressing water scarcity in the Flint can help as the same challenges begin to strike more and more parts of the country. Meanwhile, here in the Georgia Piedmont, we hope to be more prepared for the next drought, whenever it arrives. Thank you, Lucinda. I was fortunate to have the opportunity to learn from him. His experience helped me understand the river probably as much as anything I’ve learned over the past several years of work on the Flint. Well done Ben and your working group to restore Dr. Mack’s river! Thank you, Ben, for your efforts for the Flint and for remembering my Father.